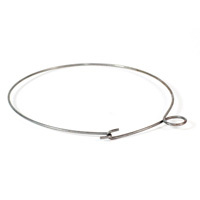 This butcher twine is great for hand packaging, automatic wrapping machines, sausage links, and all-purpose use. 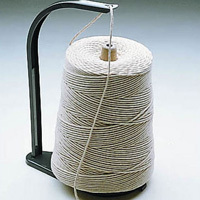 The twine comes in a 2 lb. cone and the holder is not included. Whether you're trying to fill a customer's glass of iced tea or create an ice bath to keep beer cold, an ice scoop is needed to get the job done. 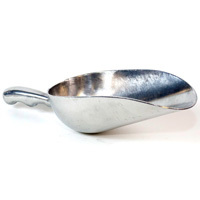 This scoop is constructed of heavy-argue, die-cast aluminum. 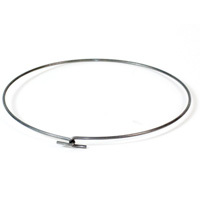 This fluid reduces machine wear and improves band saw blade tool life. 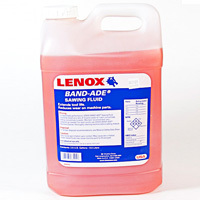 The water-soluble formula reduces friction and improves cutting performance. 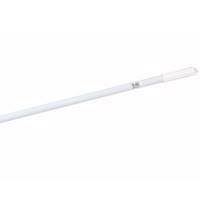 This extension handle easily attaches to the brushes, squeegees, and other butcher cleaning supplies we carry. The lightweight design makes cleaning more efficient. 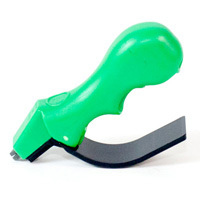 This hand held cutlery sharpener makes sharpening knives on the go more convenient. It's small design makes it easy to carry around and store. 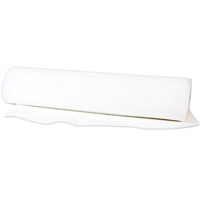 Patty paper is an essential supply to any deli, butcher shop, or other related business. This paper separates meat while preventing sticking. 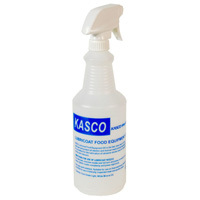 Lubricoat makes cleaning and lubricating quick and simple, especially when used with this spray bottle. Click here for more information about Lubricoat.